A new study by the University of Missouri shows students who develop relationships with financial advisers make better decisions about education loans. After a report last year by the University of Indiana concluded providing information alone changed student borrowing habits, M.U. conducted further research. Nick Prewett, the school’s financial aid director, says it tracked students to see what happened when they had additional contact with advisers. 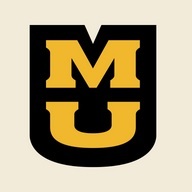 Mizzou’s financial aid office and Truman School of Public Affairs collaborated on the study, which found students made more informed decisions after establishing a personal connection with a financial advisor. The university’s also using federal grant money to help identify financially “at-risk” students, which receive additional information and assistance. The median student loan debt for M.U. graduates in just over $21,200, while nationally it’s $35,000. Prewett says if a student leaves school with debt equal to Mizzou’s median rate, it would require monthly payment of $217 over 10 years. He advises students not to borrow more in student loans that they’re going to make in their first year after college.